It was a great game. Not to into it anymore. It's been around 10+ years, one of the very first mafia games on the internet... Definitely needs new life though. A good solid game, first one i got into. But could do with the mechanics updating after 8 or so years. Boring. Rarely has any changes or updates, and not enough variation. This is the best mafia game about. Without a doubt, it's old school not like these new unfun games popping up. It's a great game with an even greater established community. 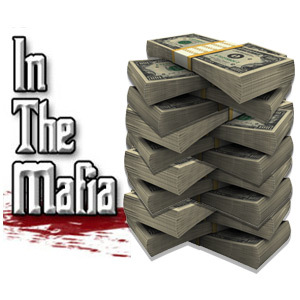 If you want to make some friends & at the same time have alot of fun playing the best mmorpg on the net then come to InTheMafia today, set up a character & join one of the many families. Also there are at least 8 prizes given each month, top prize is worth $175 this month.